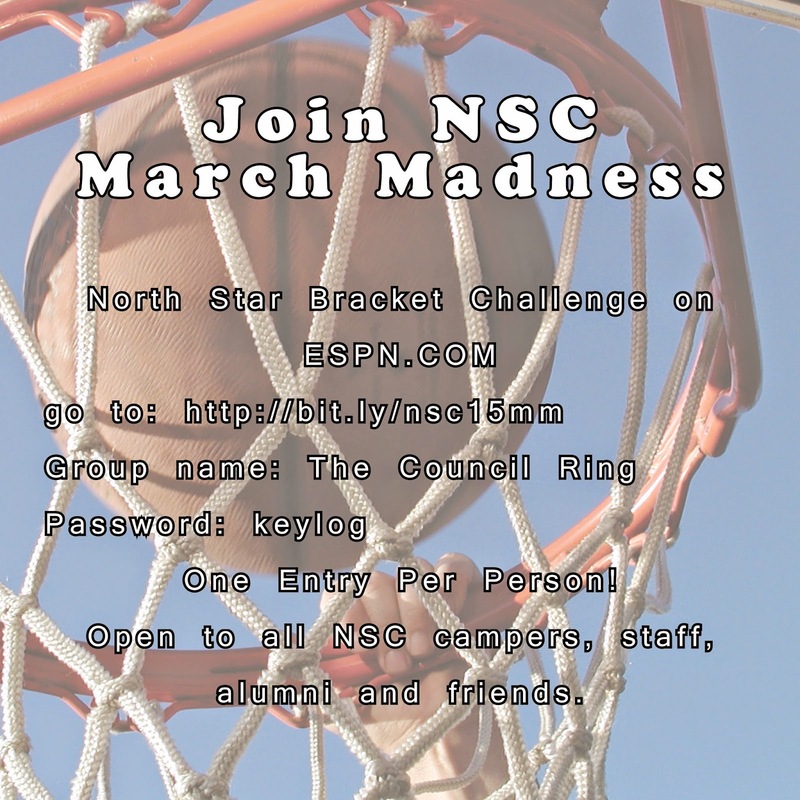 Once again its time for all North Star people, past, present and future to join the NSC March Madness Challenge. There is no cost to participate and winner gets a wanegan of his or her choice, to be redeemed at camp, during the summer of 2015. You are able to sign-up now. You can fill out your brackets any time after selection Sunday and before tip-off on March 19th (you do not need to fill out brackets before the play-in games).